Rating scale is from 1 to 5, with a 5 being a must own, must watch! Big Legend - Movie review by Thomas Marcum. Big Legend has a notable cast that includes Todd A. Robinson, Kevin Makely, and two home run hitters in Lance Henriksen and Adrienne Barbeau. The story line is pretty straight forward, an ex-soldier ventures into the Pacific Northwest with his girlfriend for a relaxing romantic retreat. Then things go horribly wrong. Read the FULL review by Clicking Here. Eve by J.M. Bailey - Book Review by Dorraine Fisher. This bigfoot story is, if you’re a believer, one that’s great to imagine could happen to any one of us. Read the Full Review by Clicking Here! To purchase the book just click on the book image or book title. Rating: 5 out of 5 - Get it! 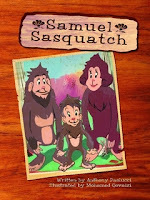 Samuel Sasquatch by Anthony Paolucci - Book Review by Thomas Marcum. This is a very good children's book about an adventurous sasquatch named Samuel. Read my full review by Clicking Here. To purchase the book just click on the book image or book title. Shadow People - Movie review by Thomas Marcum. This movie dives into the phenomenon of SUNDS. Based on true events. Are Shadow People Real? Read the full review by Clicking Here. To purchase the Movie click on the movie image or title. 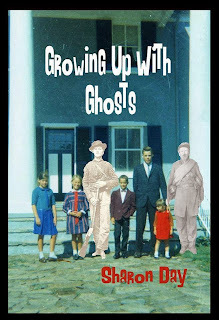 Growing up with Ghost - Book Review by Dorraine Fisher. Truth really is stranger than fiction. And Sharon Day’s book surely ranks among the highest for strange but true stories. Read the full review by Clicking Here. To purchase the book just click on the book image or book title. The Haunting of Whaley House - Movie review by Thomas Marcum. 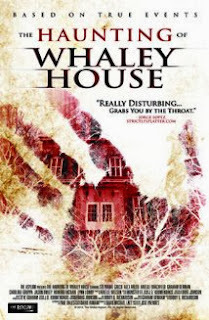 This fictitious movie is loosely base on the haunted folklore of the real Whaley House. The basic premise of the movie is that a small group of amateur ghost hunters spend a night in the haunted Whaley House. Read the full review by Clicking Here. To purchase the Movie click on the movie image or title. The Conjuring - Movie review by Thomas Marcum. This movie has a good base coming from paranormal history. A family moves into a plantation/farmhouse and experience paranormal activity. Read my full review by Clicking Here. To purchase the Movie click on the movie image or title. 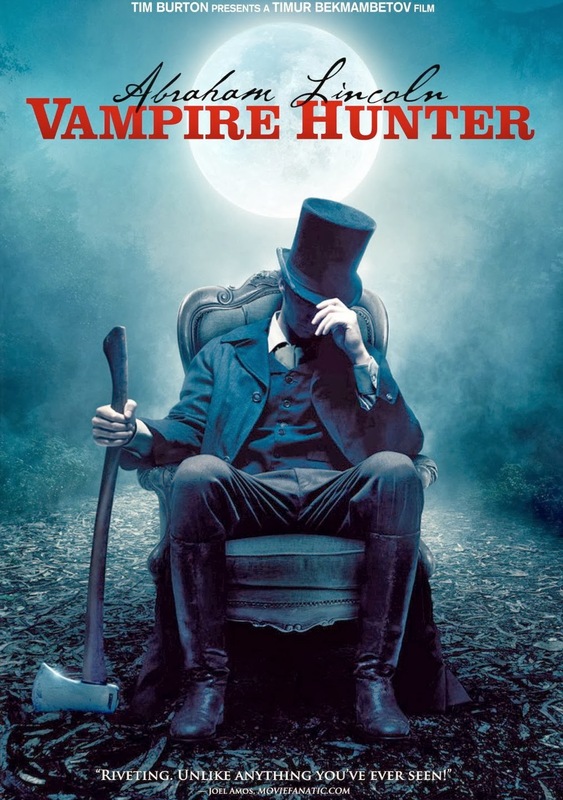 Abraham Lincoln Vampire Hunter - Movie review by Thomas Marcum. After being reluctant to watch this movie, I was pleasantly surprised. The movie reveals the secret life of Abraham Lincoln as a vampire hunter bent on revenge. It also adds in many historical events from the time period. Read my full review by Clicking Here. To purchase the Movie click on the movie image or title. Rating: 5 out of 5 - Watch it! 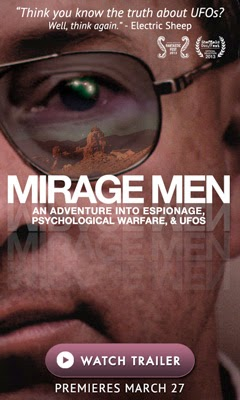 Mirage Men - Review by Thomas Marcum. This documentary film attempts to expose the inner working of the government in the field of UFOs. A former government disinformationist "comes clean" about his part in UFO world. Read my full review by Clicking Here. To purchase/watch the Movie click on the movie image or title. Z-Boat by Suzanne Robb - Review by Thomas Marcum. Zombies, zombies, zombies! 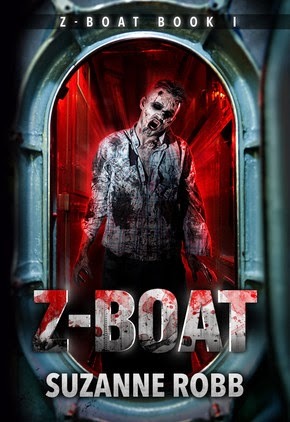 Feel the terror of being trapped in a submarine and it filled with flesh seeking zombies. Can the rescue mission be successful? Will anyone survive? What caused the outbreak? Read my full review Clicking Here. To purchase book click on book image or title. 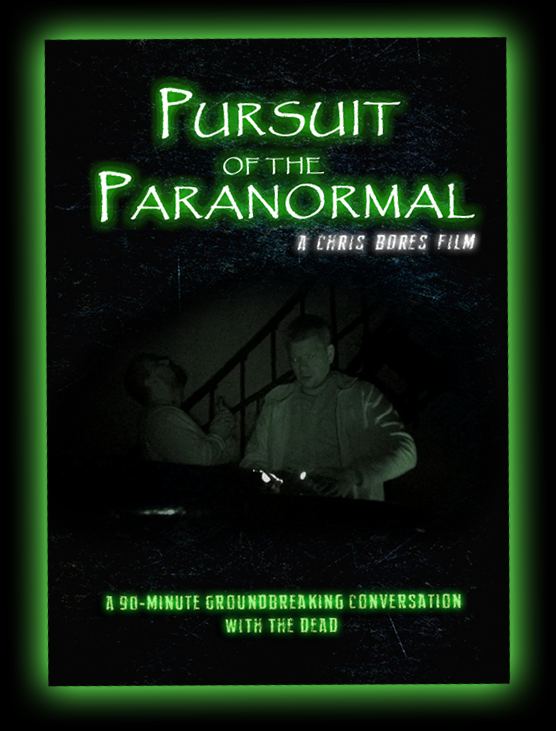 Pursuit of the Paranormal - Review by Thomas Marcum. So last night I finally got some free time to watch Pursuit of the Paranormal, not really knowing what to expect, I can say I was surprised with the quality of the film. They are investigating a very familiar place, the St. Augustine Lighthouse. Read my full review by Clicking Here. To purchase video click on image or title. 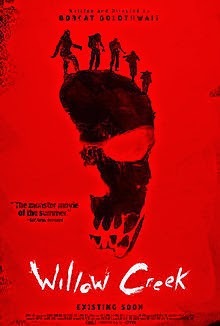 Willow Creek - Review by Thomas Marcum. 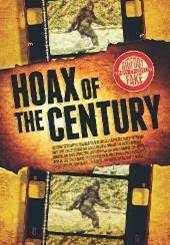 This movie is about a novice Bigfoot researcher and his totally unbelieving girlfriend going to camp in the famous Bluff Creek area where Roger Patterson and Bob Gimlin shot the famous Patty footage in 1967. Read my full review by Clicking Here. To purchase video click on image or title. 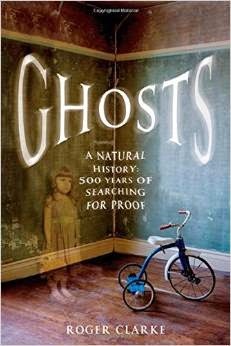 Ghost: A Natural History: 500 years of searching for proof - Book review by Thomas Marcum. 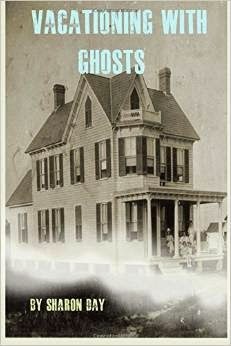 Just in time for Halloween and filled with ghost and haunting tales dating back into the 1600's. This book is more than just a bunch of ghost stories, it shows how some of these famous tales were debunked and how some led to lawsuits, destroyed lives, exposed secrets and caused deaths. Read my full review by Clicking Here. To purchase book click on image or title. Exists - Movie review by Thomas Marcum. 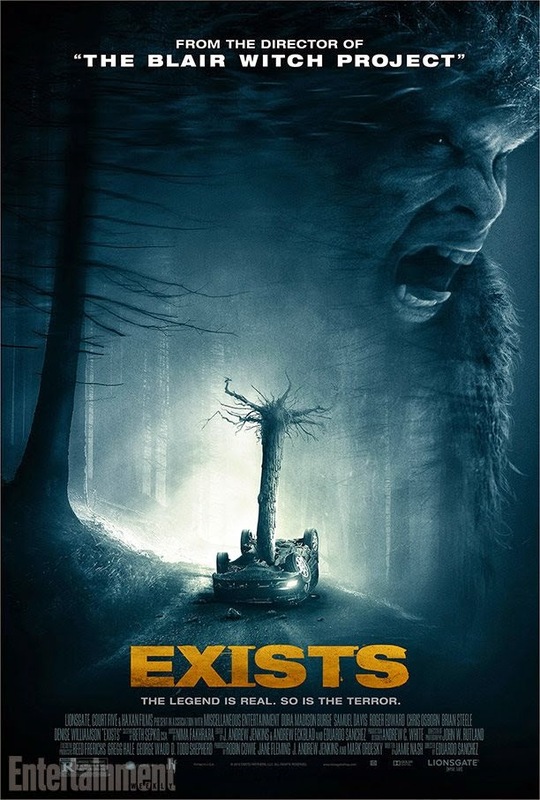 Exists is a Bigfoot movie directed by Eduardo Sanchez. Some of you may remember Sanchez from the film The Blair Witch Project. The plotline in Exists is pretty straight forward. A camping trip to an uncles cabin becomes a nightmare of terror from an unknown creature in the woods. Read my full review by Clicking Here. To purchase video click on image or title. 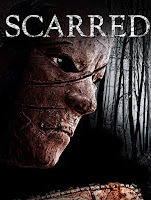 Scarred - Movie review by Thomas Marcum. Scarred is a slasher film that has an 80's style groove to it. Young models hit the country for a photo shoot. Jonah Kandie is about to ugly them up. Pay the Ghost - Movie review by Thomas Marcum. This movie might be best described as a Supernatural, child abduction movie. It was entertaining and stars one of my favorite actor, Nicolas Cage. Read my full review by Clicking Here. To purchase the film, just click on the image or title. Something in the woods - Movie review by Thomas Marcum. Wow, Finally a movie that gave me what I wanted from a Bigfoot movie. Please read my full review by clicking Here. To purchase the film, just click on the image or title. Nightbeasts - Movie Review by Thomas Marcum. A promising plotline and a cast with name recognition but the film fails to come together. Read my full review by Clicking here. To purchase the film, just click on the image or title. 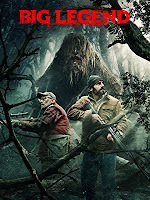 Bigfoot: The Unforgettable Encounter - Movie Review by Thomas Marcum. A young boy gets lost in the woods and befriends a Bigfoot. There are several plot twist in this fun little film. Read by full review by Clicking Here. To purchase the film, just click on the image or title. The Wild man of the Navidad - Movie review by Thomas Marcum. Based on true events about a wild man in what is now Sublime, Texas. First widely reported in 1837 throughout the early settlements along the Navidad River bottoms. Read my full review by Clicking Here. Throwback - Movie review by Thomas Marcum. This film was shot in the forest of far North Queensland.The plot line is pretty straight forward, two down-on-their-luck pest exterminators set out to search for lost gold in the thick forest. 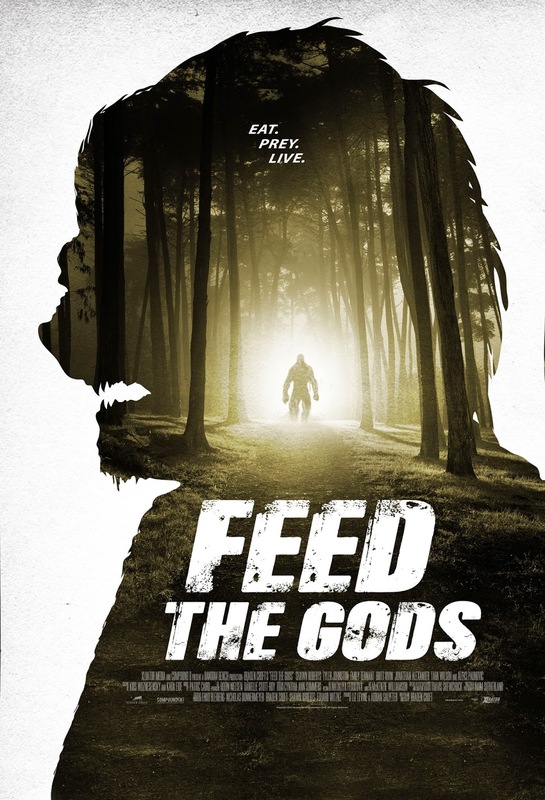 The difference is that the area is home to an Yowie.The pace of the movie is good and there is not much lull time.Read my full review by Clicking Here. Minerva Monster - Movie review by Thomas Marcum. I finally got around to watching the documentary film Minerva Monster. This film is about a continuing series of bigfoot sightings and activity in a small town in eastern Ohio. The film mainly focuses on one family and their years of activity behind their house. The film also brings in other sightings from the area and numerous interviews. Read by full review by Clicking Here To purchase the film, just click on the image or title. 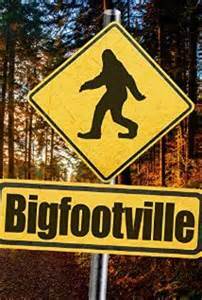 Bigfootville - Movie Review by Thomas Marcum. Bigfootville is a 2002 documentary shot in Oklahoma. It have numerous witness interviews, field research and skeptics in the film. You can read my full review and watch the film by Clicking Here. Kronos Rising: Diablo - Book Review by Dorraine Fisher. Max Hawthorne, the author of the famous Kronos Rising series has done it again with his latest book, Kronos Rising: Diablo. A carefully-crafted fiction about the Diablo Caldera, a volcanic island off the coast of Cuba encasing a giant salt-water lake that has long been the secret home of some terrifying monsters of the deep since the Cretaceous Period. Read the full review by Clicking Here.To purchase book click on book image or title. 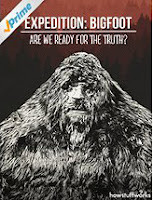 Expedition: Bigfoot - Are We Ready For The Truth? - Film review by Thomas Marcum. The film features David Bakara and his awesome looking bigfoot museum, Expedition Bigfoot. 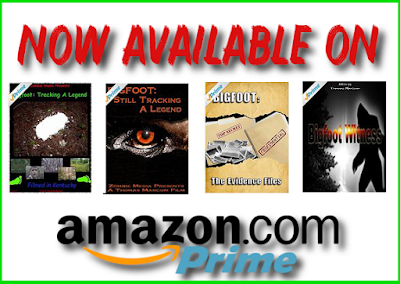 For decades David and Malinda Bakara have searched for the legendary cryptid known as Bigfoot. In 2016 the Bakaras opened Expedition: Bigfoot! This short film is shot mainly in said museum. Read my full review by Clicking Here! To watch the film, just click on the image or title. The Man Who Killed Hitler And Then The Bigfoot - Movie review by Dorraine Fisher. The Man Who Killed Hitler And Then The Bigfoot, starring Sam Elliott and Aidan Turner is not what you’d expect. This is a really cheesy title for a film attempting to be as serious as it can. And I think it succeeds...for the most part. Read the full review by Clicking Here. To watch the film, just click on the image or title. Now I'm going to have to read more books, lol. yeah I got one I've got to read as well. Hey these are all interesting books, Now if you want a very nice clean Series that has Bigfoot in it with a totally diffrent story plot , but a lot of common sense Bigfoot ideas then read the "BALANCE" series by Glenn A Edwards. There are 4 of them and their each better than the previous. You'll be hooked for sure.